Winnipeg Blue Bombers’ head coach Tim Burke was apologizing last week for emotional comments made about backup safety Dan West following an incident at practice resulting in a hamstring injury to breakout receiver Cory Watson, and he may be trying to retract more statements this week as well. 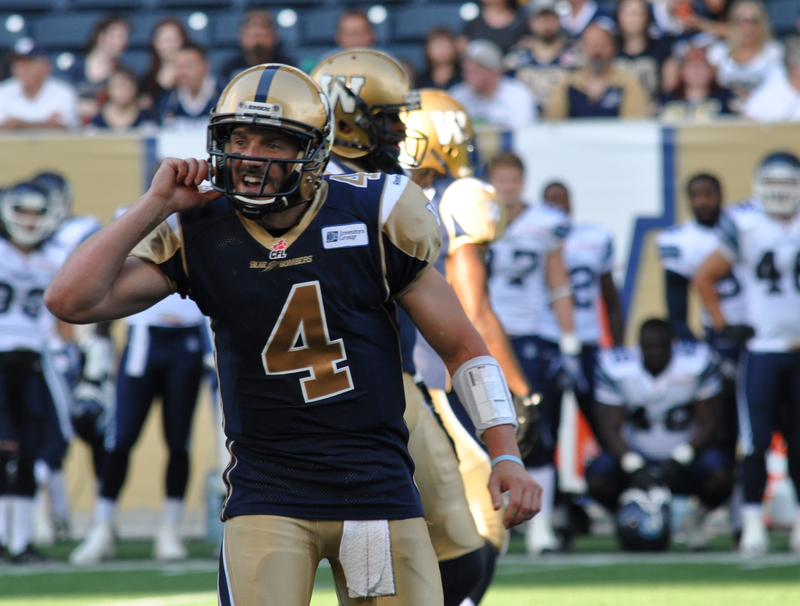 The Bombers sit at 1-3 with a sputtering offence and an injured Buck Pierce following Friday’s embarrassing 35-19 loss at home to the Toronto Argonauts. Argos’ QB Ricky Ray only needed half the game, before leaving with an injury himself, to dig the Bombers a hole they would not come close to getting out of. Ray was brilliant, virtually perfect, going 19-of-20 for 286 yards and two TDs before leaving with a knee injury early in the third quarter after getting tackled in the backfield. The severity of both Pierce and Ray’s injuries were unknown at deadline. The early theme of the 2013 Bombers’ season seems to be a commendable defensive effort that gives the team a chance to win each week, paired with a lackluster offensive attack that is unable to capitalize when given the chance. 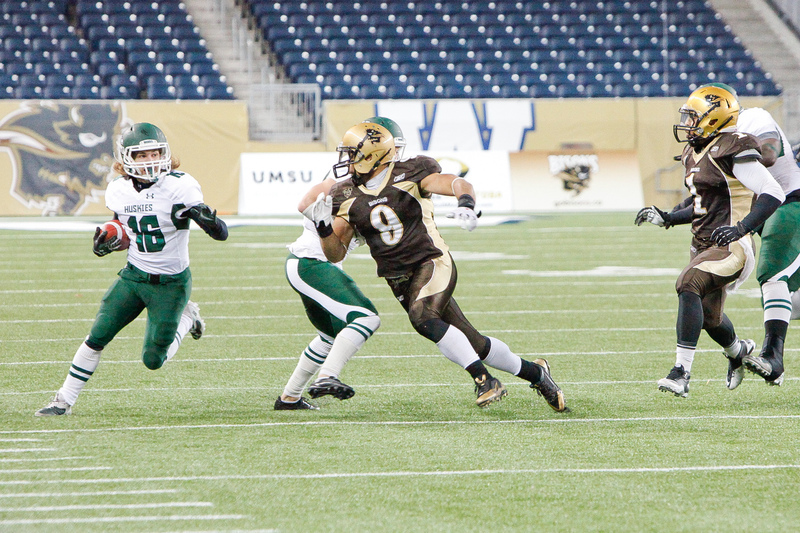 Pierce looked good in the first quarter going 7-of-8 for 118 yards, but the offence failed to find a balance, with only 11 yards rushing. A second quarter interception by Pierce, leading to the Argos’ first touchdown, was the turning point of the game. Ricky Ray and the defending Grey Cup champs never looked back. It was a pretty dull show from then on out for the home crowd. In fact, the most entertaining part of the night may have been watching Toronto Mayor Rob Ford, in town for the game, patrol the Argos’ sideline, with one of his staff carrying a Bombers bag full of merchandise that Ford had purchased. 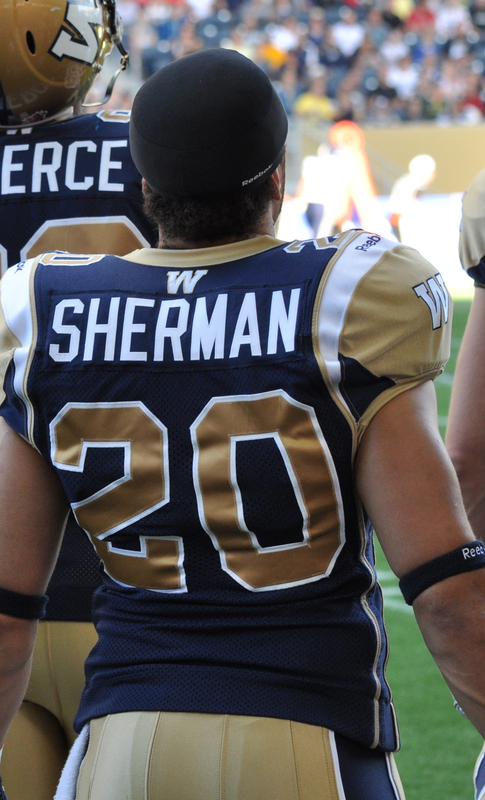 Of other interest in Friday’s game was a blocked punt by Bisons alum Teague Sherman, making a name for himself on the Bombers’ special teams. His development with the team is definitely something to watch. Switching gears: the last time the Argos were in town, the off-field issues were as distracting as anything. Traffic jams and inefficient concession stands made the fan experience less enjoyable than it should have been. As expected, these did improve. Timing of the traffic lights entering the university were properly adjusted, or in some cases, replaced by cadets directing traffic. Staff in all areas were better organized, making getting to the stadium and grabbing a beer a lot less frustrating than at the preseason game. The only area of concern remaining is getting out of the university after the game. Some of the $20 parking passes get you buried at the back of campus in “W” lot, and with that you would be hard-pressed to see any signs of Pembina an hour after the final whistle. With the off-field distractions for the most part behind us, full attention now needs to be given to the product on the field. The appeal of the new stadium will soon wear off and then only wins, or at least competitive and engaging football games, will sell tickets. The Bombers’ marketing line this year is “Get Ready to Play.” The fans are ready. With Calgary and B.C. up next, I hope the Bombers are, too.